« Howdy Pardner! It’s Stick ‘Em Up Friday for October 19th ~ List All Your Giveaways Here! Can you hear me now??? If you have a small child, then you're sure to know the answer is, "probably not." Listening is a skill that has to be practiced constantly, which can be quite difficult for a preschooler with a boundless amount of energy. Educational Insights has always been one of my favorite go-tos for high quality toys that are not only fun, but teach valuable lessons and concepts too. 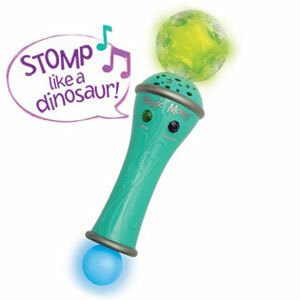 Of course, they hit it out of the park with their newest toy, the Magic Moves Electronic Wand. Practicing listening skills has never been this much fun! I reviewed the Magic Moves Electronic Wand from Educational Insights which retails for $19.99, but is currently on sale for $15.02 with FREE SHIPPING. Get ready to move, groove, listen and more with the Educational Insights Magic Moves Electronic Wand! This fun-filled electronic wand comes complete with everything you need for fun on the go or to banish those rainy day blues for good. Just pop in 3 "AAA" batteries (included) and watch the fun begin. Stomp like a dinosaur. Swoop like an eagle. 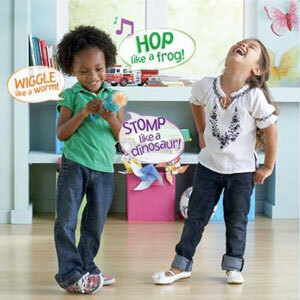 Ninety fun, physical commands, twinkling light shows and a variety of musical styles get little ones up and keep them moving, exercising their bodies, creativity and listening skills. It's designed for children ages 3 years old and up and can be used successfully with just one child or in a large group. Educational Insights Magic Moves Electronic Wand gives silly commands to stimulate your child's mind! Riley absolutely loved the Magic Moves Electronic Wand and especially adored the associated light show and 26 musical tunes included with this wand. What I loved was watching her revel in being an active toddler! Her goofy faces and movements were absolutely hysterical and made me laugh with glee while she moved and grooved about. The best part is, while we're both having a blast using the Magic Moves Electronic Wand, Riley's also staying physically fit and getting plenty of exercise. She's working on her coordination, gross motor skills and listening abilities too! She's even had the chance to practice and learn new and exciting words such as sway, prowl and creep. This latest toy from Educational Insights is simply wonderful and a must-have for under the tree this year! 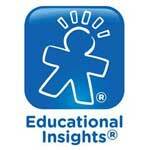 Disclosure: I received the Magic Moves Electronic Wand from Educational Insights in order to facilitate my review. No other compensation was received. This product review is based on my own personal experiences with this item and is completely honest and objective. I’d like to have the Hot Dots Jr. Getting Ready For School Set. The Quiz Phone looks great for car rides! I like the Phonics Firefly. I love the Loud & Clear Headphone. My favorite though is that electronic wand! My grandson would love the Design and Drill drill. The Design & Drill® Drill looks fun! See and Write looks cool. I would love to get this for my son! I would love to get my grandchildren the Geosafari® Telescope and Microscope Set. I would like to try the See n’ Write. my little niece would have so much fun with this. The Smart Talk complete set looks like it would be great for teaching kids phonics and reading. The Quiz Phone looks fun! I like the Phonics lab. My children would enjoy the phonics lab. Thanks for the chance. I love the phonics helper too, to help my daughter learn to read.